When power sanding is unsuitable for precision jobs, we offer a variety of abrasive hand tools, blocks, sandpaper sheets and accessories for grinding, smoothing or whetting. Top brand names include 3M, Norton and RS Pro. When should I use manual sanding blocks, cloths or sharpening tools? 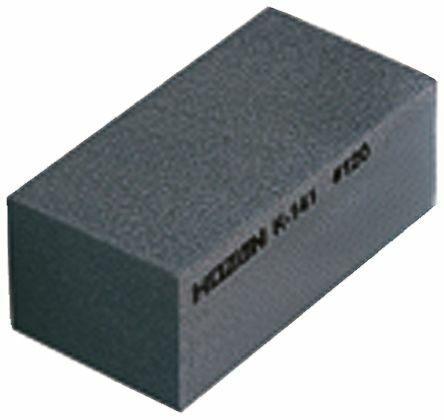 Abrasive blocks work much like traditional sandpaper for hand-finishing wood or cleaning/polishing metal components. Theyre flexible enough for tight spaces or curves, offer a comfy grip, and can be washed and reused many times. Abrasive cloth rolls an effective sandpaper alternative for wood, metals, composites and paint. Choose from non-woven glass paper, aluminium oxide or silicon carbide rolls in a range of grit sizes. 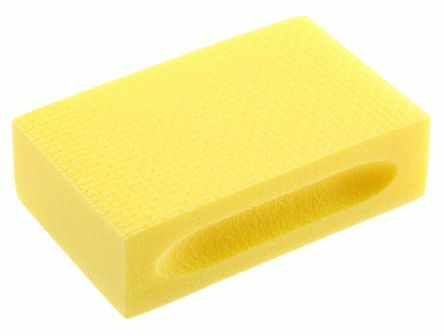 Abrasive hand pads and sponges are a popular steel wool alternative for light-duty cleaning, prep work and finishing on wood, fibreglass, vinyl, plastic, concrete or ceramic. They offer a smooth finish without altering the shape of a workpiece as heavier-duty wire brushes or sandpaper can. Honing steels are used for balancing, rather than sharpening, worn blades - although theyre also known as sharpening steels, sharpening rods/sticks, or butcher steels, and your blade will usually appear sharper after use. Our manual honing tools are made from durable diamond-coated steel. Sharpening stones (including India stones) are for grinding, honing and whetting blades. Oil stones/water stones use lubricant to remove swarf (metal filings); diamond stones provide a harder abrasive face. Whether youre looking to clean up plasterwork or metals, produce an extra fine finish on wooden surfaces, or hone a blade to a perfect cutting edge, we stock a range of quality sanding and sharpening products to get the job done right. For cleaning and finishing work on very hard materials eg, ceramics, glass, fibreglass, carbon fibre, carbidesUse wet for optimum lifeBlock shaped for secure grip. Ergonomically formed hand-held grinding blocks for polishing and grinding small surface areas and edges. 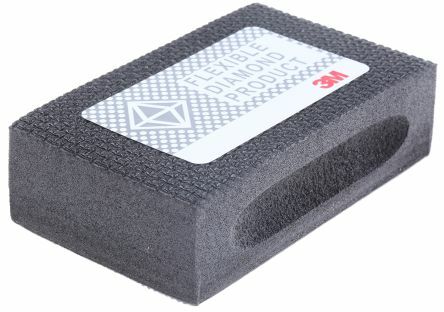 Abrasive diamond material laminated onto a plastic block. Preferably for wet use; especially suitable for glass, stone, porcelain and hard metal alloys. The fine-grade abrasive prevents clogging and facilitates smooth workingRemoves surface rust and soiling without damaging the base materialCleans the soldering iron tip better than paste typesHeat resistant temperature: 60 → 70.